Jason Locke has been the preaching minister since 2009. He and his wife Julie have two sons who were both born while they were doing mission work in Prague. Jason sees himself as a seeker (trying to learn what it means to follow Jesus every day) and as a leader (trying to invite others along for the journey). Contact Jason via email: jlockeca@gmail.com. 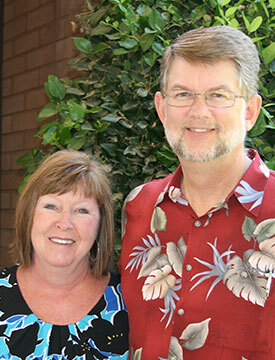 Sandra has served in various capacities at the College Church since the early 1990s. She has worked to plan and lead worship here for about 20 years. Sandra and her husband Lex are native Fresnans. They have two grown children, Ashley and Avery, and many deep roots here in the church and the community. Contact Sandra via email: sandrahenderson@comcast.net. 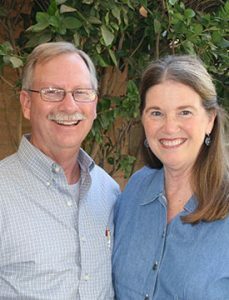 Dale Drury serves as one of the church’s elders and often teaches a Sunday morning adult class. He is a native of Oregon. Dale manages West Coast Sales & Service for Grundfos. His wife Bev loves working with kids. 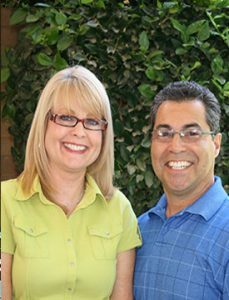 She has been a teacher and was the principal of Mountain View Christian School for many years until the school’s closure in 2013. They have two grown children. 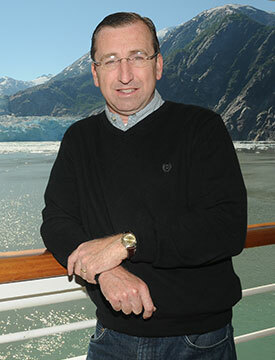 Terry Hutchison serves as one of the church’s elders. He grew up in Central California before studying in various parts of the United States. He is a pediatric neurologist at Community Regional Medical Center in Fresno and the UCSF Fresno Medical Education Program. His wife Ruth has a Masters in Early Childhood Education and has been involved in non-profits for years. She spends her time in various charity and church works. 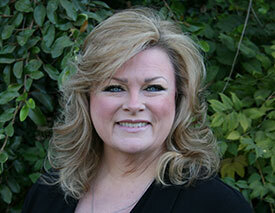 She has been chairperson the board of Easter Seals, and has directed the Ronald McDonald house and other good works. 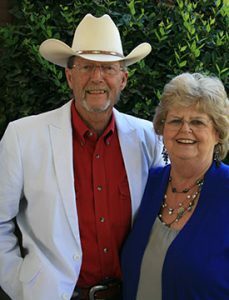 Terry & Ruth have three children and several grandchildren and great-grandchildren. David Morris grew up in the Bakersfield and Sacramento areas. He was a full-time minister for 17 years in Tyler, Texas; Shafter, California; and in Fresno. He retired from teaching Biology and physical science in Tulare California but still works part-time as a mentor and substitute teacher. He enjoys teaching adult and young adult Bible classes photography and reading. Gay is from Bakersfield, California. She has worked full-time as a speech therapist, been a stay-at-home mom and retired from teaching State-funded Preschool with Fresno Unified. Gay enjoys sewing, quilting, and spending time with their grown children and three young grandchildren. 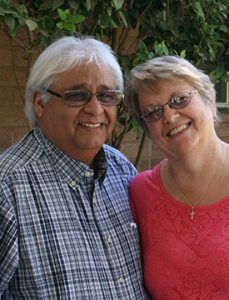 Michael Rodriguez has been part of the College Church for over 45 years. He grew up in Southern California and moved with his family to Fresno and to the College Church as a teen. He and his family were the first Hispanic members of the College Church. Michael works in sales for autochasers car magazine. Elise is a native of Fresno. She works at California State University, Fresno in the Office of the Communication. They have one grown son who is married and lives nearby. Lee Smith is the longest serving elder at the College Church. 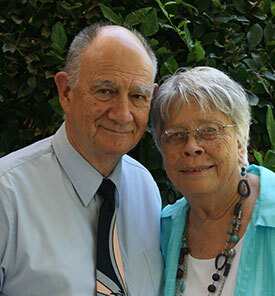 He and his wife Sue were some of the founding members of the church in 1964. Lee retired from a long career with PG&E. He loves gardening and barbecuing. Sue is a native Arkansan who followed Lee out west after they met at Harding College in Arkansas. She has been active in various roles at the church and now works in the women’s ministry. They have five grown children and eight grandchildren. Arthur is a native of Kingston, Jamaica and emigrated as a teenager to the United States. 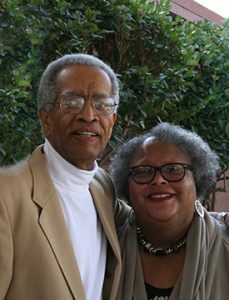 He attended Washington State University, where he met his wife of 46 years. While both were enrolled in graduate school, they attended Holgate Street Church of Christ in Seattle at the invitation of one of Carlotta’s middle school students. Arthur has always been an active participant in church and community affairs. He has served as deacon and elder at College Church, having now served over twenty years. Subsequent to being diagnosed with ALS (Lou Gehrig’s Disease), he was honored as Elder Emeritus. He is a retired tenured professor, in the Department of Criminology and former administrator and Carlotta an adjunct professor at California State University, Fresno. She has also volunteered her time between church and community. The Wint’s have four adult children and nine grandchildren, with number ten due at any time.